We are a membership organisation established in 1986 providing a voice for the pensioners of Islington about the issues affecting them. We champion the rights and dignity of pensioners, locally, London-wide and nationally and our aim is to reduce isolation and loneliness. 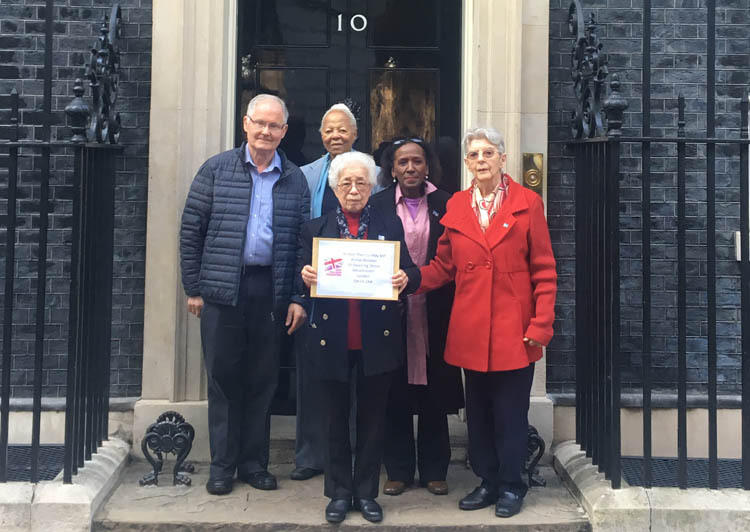 Islington Pensioners Forum members from various countries present a petition to 10 Downing Street protesting the freezing of their pensions. Through our monthly Forum meeting at Islington Town Hall and by sending out our monthly newsletter we highlight issues that affect older people such as the state pension and health services. We campaign to raise awareness and make changes to save post offices, the freedom pass and anything that affects pensioners. Islington Pensioners Forum, 1a Providence Court, Providence Place, Upper Street, London N1 0RN. We are in the alley next to Screen On The Green cinema opposite Islington Green.